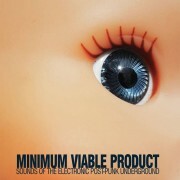 Minimum Viable Product features a quality collection of 12 tracks from around the World of Electronic Post-Punk. As part of the project each of the contributing artists released a single featuring specially commissioned and/or exclusive tracks, This LP presents the A-sides as an eclectic and exciting compilation of pan-global hits. Sixth and final volume of our compilation series: a mix of deviant pop-tuned songs, sick homemade music and abstract/visual electronics. Hence, Wavecore 6 comes not only with 1, but 2 Cds including 28 tracks by artists from 15 countries (Albania, Australia, Canada, Croatia, France, Finland, Germany, Hungary, Iran, Italy, Russia, Spain, Sweden, UK, USA). Both dics are linked by the same tensed atmosphere, though with different approaches: while disc 1 is a collection of post-punk and bedroom electronic items, disc 2 travels upon a broad stream of both blissful ethereal and dark instrumental tracks. 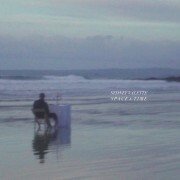 Here’s the latest 4 tracks EP from Sydnet Valette, a Cold Rave / Synth Wave solo project from Paris, France. When kindred souls meet across generations, the result of such cultural crossbreeding is often interesting, sometimes good and, if they really connect on different levels, mesmerizing. 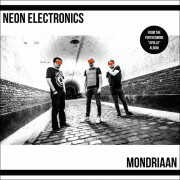 As is the case for NE, the collaboration between Dirk Da Davo – he of THE NEON JUDGEMENT fame – and Glenn Keteleer a- relentless dark techno producer with two albums and a string of EP’s under his belt. There is common ground, of course: both already co-produced tracks with the likes of The Hacker, David Carretta and Millimetric, and made applauded appearances on Dave Clarke’s ‘White Noise Radio’ playlists. But perhaps even more significant: both share a dystopian view on present and future, where it’s open season for governments and multinational corporations that seem to have received a license to kill the privacy and freedom of the individual, and a mutual sonic understanding that includes pounding beat bonanzas next to brooding krautrock, marshy soundscapes and twisted dub. So yes, it’s dark. And loud. But it’s a darkness with a loudly beating heart. Pretty? No. Hauntingly beautiful? Absolutely. Electronic transmedia project based in Bogotá – Colombia – Southern waves and frequencies. “Minimum Viable Product” (MVP) is an incremental Compilation built over the year by Detonic Recordings. 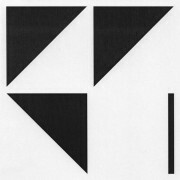 Each Month an on-line single is published with an “A” and “B” side from each of the international artists participating in the project. 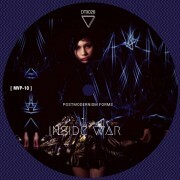 Inside War is featured on the forthcoming LP.